- A traditional design pattern representing a perfect combination of tradition and contemporary for your floor. 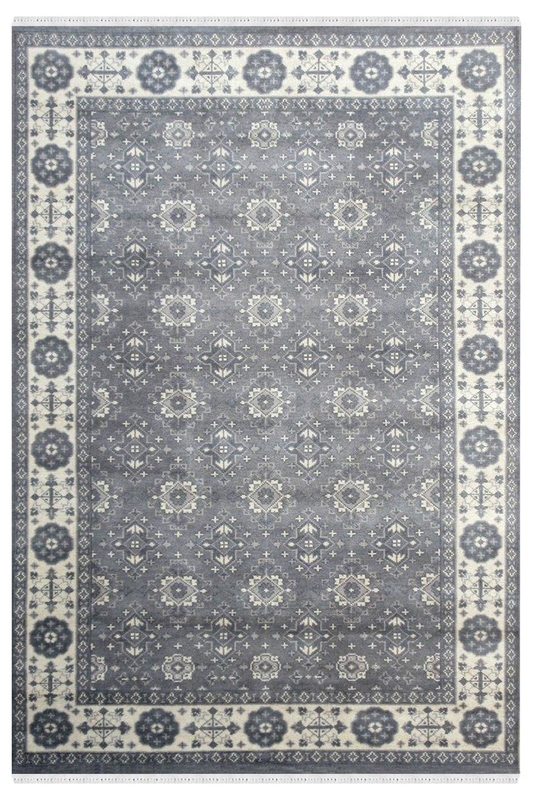 - This monochrome kalaty grey rug complements your floor decor with the right mix of muted and calm colours. - It has a beautiful design pattern and has an intricate design pattern. - It has taken about four to five months to weave this beauty. - This is a perfect fit for your living room. - This is 100% hands washable carpet.